One minute you're on top of the world. The next, you're dead. A prestigious award. Gorgeous weather. An ice cold beverage. Robert was having the perfect day. But there's nothing like a pesky ant to ruin the mood. Throw in a bird set on revenge, and things are about to get deadly. Pride & Poo Extended Cut (2017) is now available. 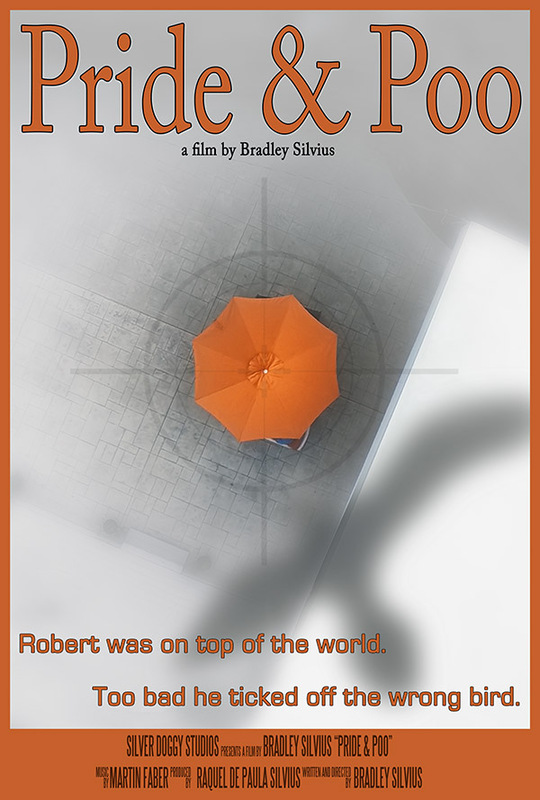 The film is written and directed by Bradley Silvius with an original score composed and performed by Martin Faber. 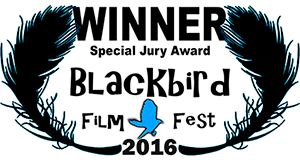 NOTEWORTHY: Pride & Poo (Original 2015 Edition) won the Special Jury Award at the 2016 Blackbird Film Festival in Cortland, New York! The Festival marked the world premiere screening of Pride & Poo on April 24. Over 1500 films were submitted to the festival with only 100 being named Official Selections. And of those films, Pride & Poo was one of 13 nominees for Best Narrative Short Film! The festival was fantastic, and we got to meet and network with many fabulous filmmakers. With all the amazing films at the festival, we were humbled and honored receive the Special Jury Award.